By Ashley Davis Bush, LCSW, Contributor, US Daily Review. 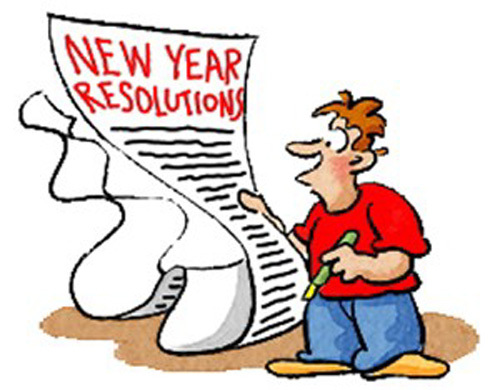 Imagine a New Year’s resolution that not only sticks but actually changes your brain for the better! Neuroscientists now know that thanks to neuroplasticity (the brain’s ability to change as a result of experience), we can create new pathways in the brain. So rather than having chronic neural pathways of stress, anger and pessimism, which cloud our thinking and make us feel bad, we have the ability to create new neuronal grooves of calm, gratitude, and optimism. The trick is repetition. So rather than bite off a big resolution that you cannot chew, try these simple changes that are prompted by ordinary, everyday experiences. You can easily create habits that cultivate positive thoughts, clear thinking and inner peace. Your brain will thank you. First thought of the day – if your first thought of the day is ugh, another day then your brain definitely needs a bit of rewiring. Consciously create a positive thought to start your day, such as I’m glad to be alive today, Everyday has joy or I’m so grateful for the loved ones in my life. Before your head leaves the pillow in the morning, repeat this thought and let yourself really feel it. A simple redirection of your thinking can shift your experience of the day and over time make positive thinking a habit. When you’re paying your bills – rather than grumble and complain about having to pay a bill, try paying with gratitude. Think of life with no running water, electricity or a home and say “thank you” to the electric company, say “thank you” to your landlord, and say “thank you” to your cell phone service (do you even remember life without your cell phone?). With gratitude as your companion your spirits will be lifted. When you hear an ambulance – pause your current train of thought and offer well wishes to the person in the ambulance, to their family members, and to the professionals who will be affected by the situation. Cultivating compassion makes you feel better and gives you perspective on the little worries that can flood your life. When you’re emptying the dishwasher – listen to the sounds of putting away dishes and cutlery. Notice the clinking, the clattering, the clicking of metal and glass, porcelain and plastic. When you redirect your attention to this simple symphony of sounds, notice that your body and mind relax as you train your brain to stop its incessant thinking and just listen. When you’re standing in an elevator or walking up stairs – intentionally stand up straight and take a deep breath. Feel an invisible string at the top of your head pulling you up to your full height and as you begin to go up, exhale long and slow. The straightening of your spine and exhaling will relax your entire body and realign you to face the rest of your day. Try this for a few weeks and soon you’ll look forward to going up. These deceptively simple habits are easy to weave into your day because they’re triggered by activities that you’re already doing. They require no extra time, only a shift of focus or intention. Using them repeatedly will rewire your brain in ways that make you feel more relaxed, more peaceful, and more fulfilled. Oh yes, it’s definitely going to be a happy new year. 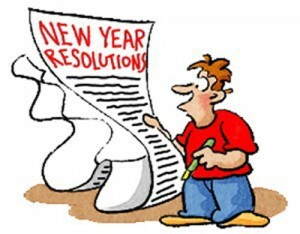 Recently Kevin Price, host of the Price of Business (M-F at 8 pm CST) had US Daily Review contributor Ashley Davis Bush on his program to discuss the problems that often surround “New Year Resolutions.” How do you make resolutions that will work and what if you do if your resolutions fail? Ashley holds a Bachelor of Arts degree in psychology from Smith College and a Masters in Social Work degree from Columbia University. She has a certificate in Contemplative Studies through Smith College School for Social Work. Ashley worked in community mental health in New York City for ten years and has been living and working in southern New Hampshire since 1997. Ashley is a frequent public speaker and workshop teacher. Since 1992, she has delivered keynote speeches to professional and community organizations across the country and has taught workshops on the subjects of grief and loss, parenting, personal empowerment, Buddhism, divorce, transitions, stress management and inner peace.